Time for faster fatigue analysis, join us in California in July or contact us to learn more about NEF. 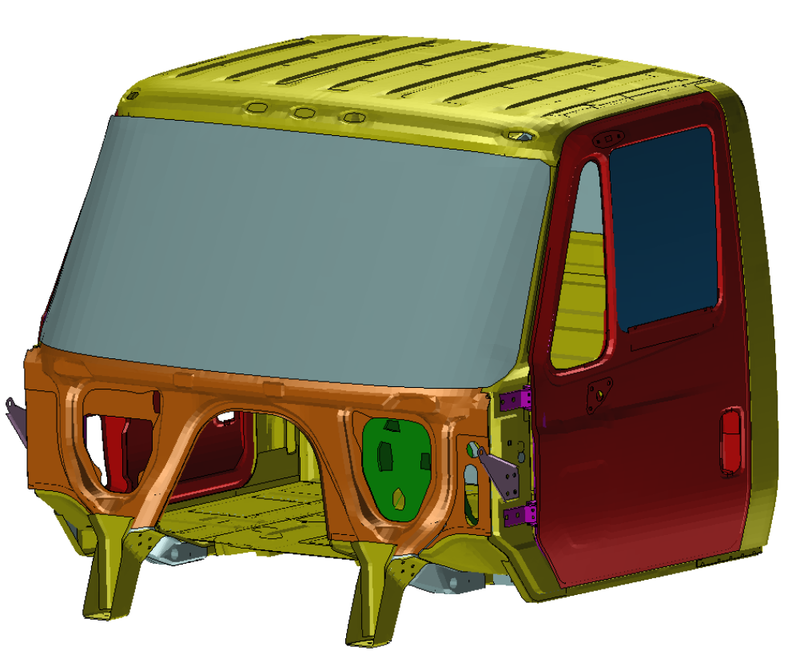 MSC Nastran Embedded Fatigue (NEF) offers a significantly improved way of fatigue analysis. When the traditional method and NEF were used to perform a fatigue analysis on this example, there were 3 significant benefits gained from using NEF for fatigue analysis. The traditional method of fatigue analysis required 118.79 minutes of solution time. With NEF, the solution time was reduced to 24.55 minutes. An analysis speed up 4.8x is realized with NEF. It is usually the case that a large amount of disk space is required for a fatigue analysis, but with NEF you will notice a reduction from 282,660MB to 31MB for this particular example. A disk space savings of 99%. In this example, you can go from working with 191 files to just 2 in NEF. A 99% reduction of individual files needed for fatigue analysis. Now that you have 2 files to work with, one nastran input file and one results file, sharing your models with other engineers is easier. More engineers can perform fatigue analysis with every stress analysis since it's easier to define fatigue analysis. MSC Nastran’s optimization technology may be applied to optimize fatigue characterisitics. NEF seems a step forward in fatigue calculations. There is something that I do not understand: Getting rid of the DAC files. Where does the load history data come from? Where is all the PG data used?